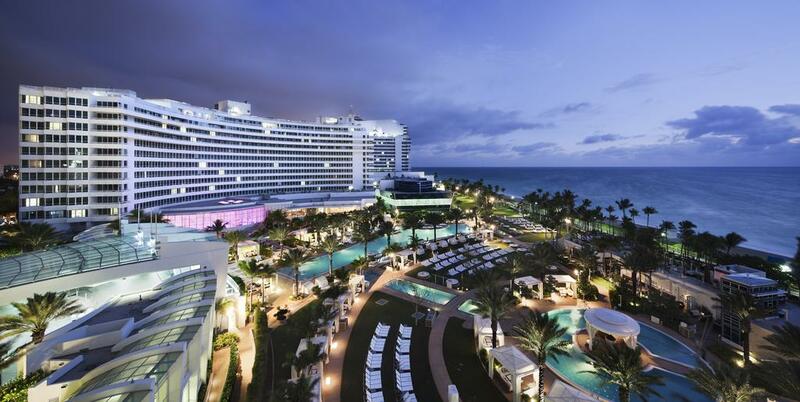 The Fontainebleau features 6 oceanfront pools surrounded by luxurious private cabanas. Dining and entertainment options abound with 9 restaurants, 9 bars, cafes, and nightclubs as well as a health spa and personal watercraft rentals. Rooms and suites include premium bedding with 400-thread count Egyptian-cotton linens. All offer wireless Internet access, advanced sound systems with i-Pod docks, and flat-panel TVs.